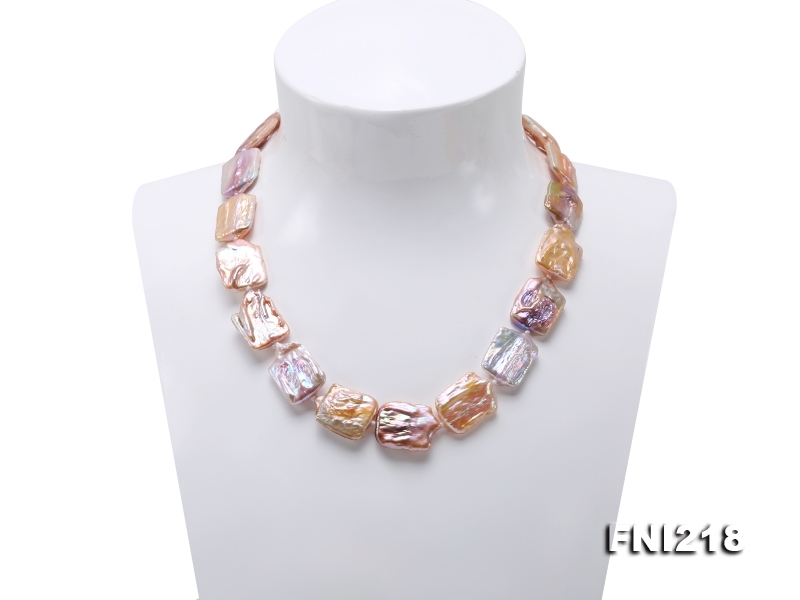 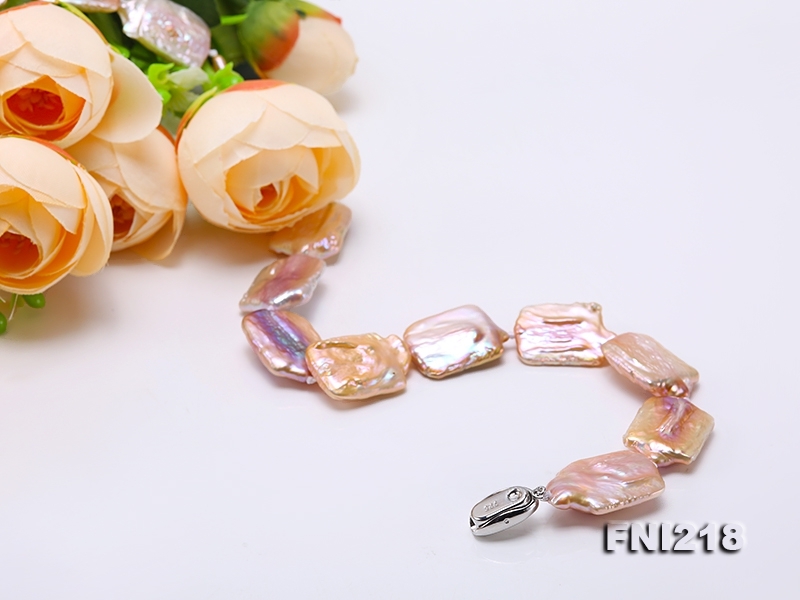 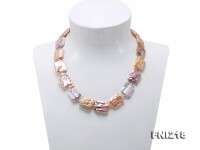 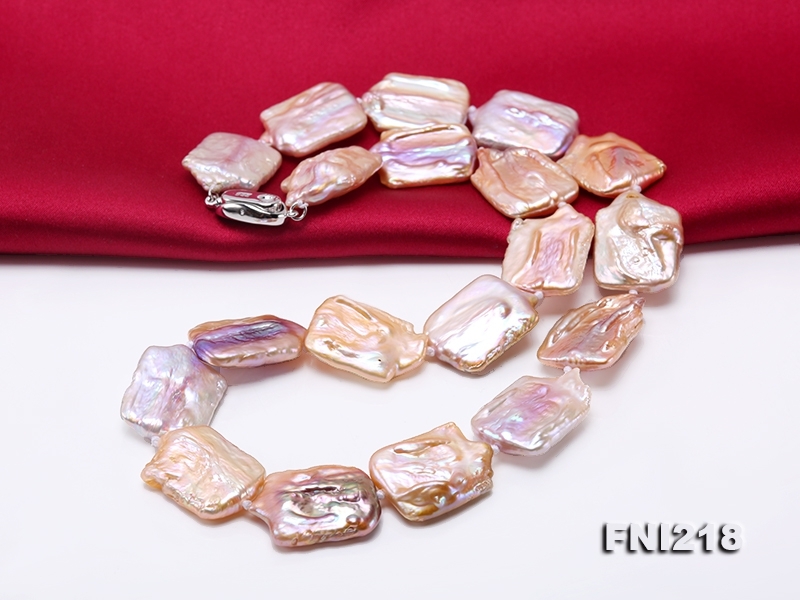 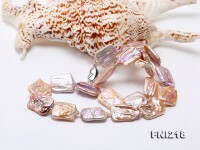 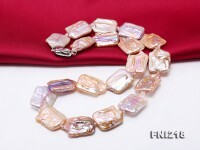 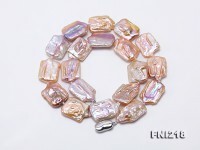 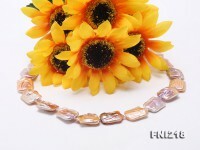 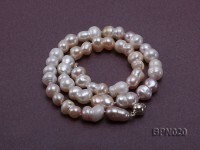 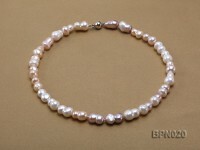 Chic 16.5×25-17×25mm light lavender baroque pearl necklace. 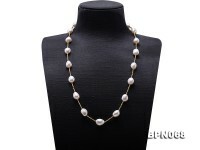 The pearl necklace is 19 inches long and closed by a solid gilt clasp. 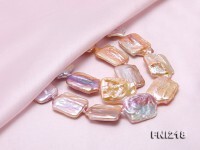 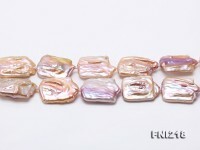 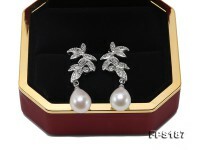 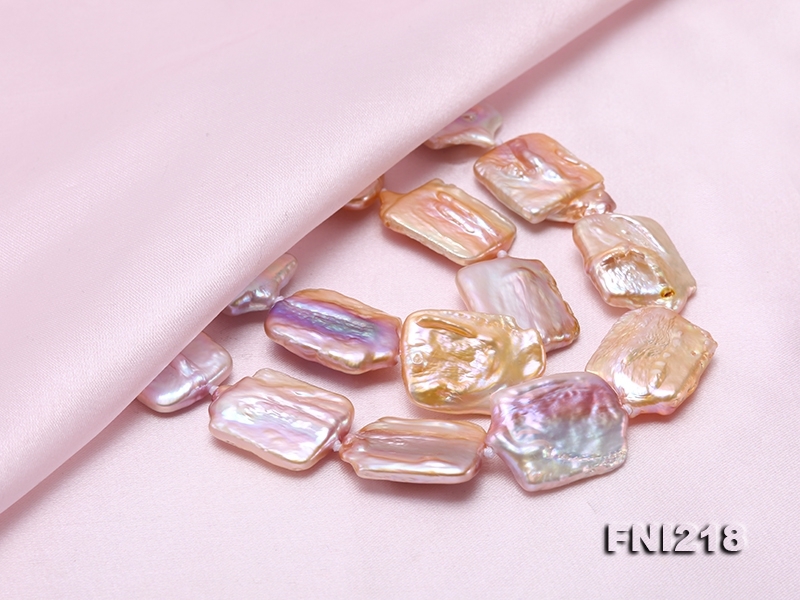 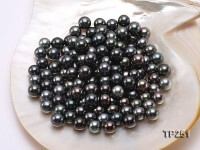 The pearls have unique shape, pinkish overtone and fine luster. 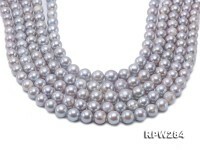 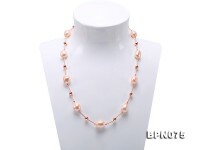 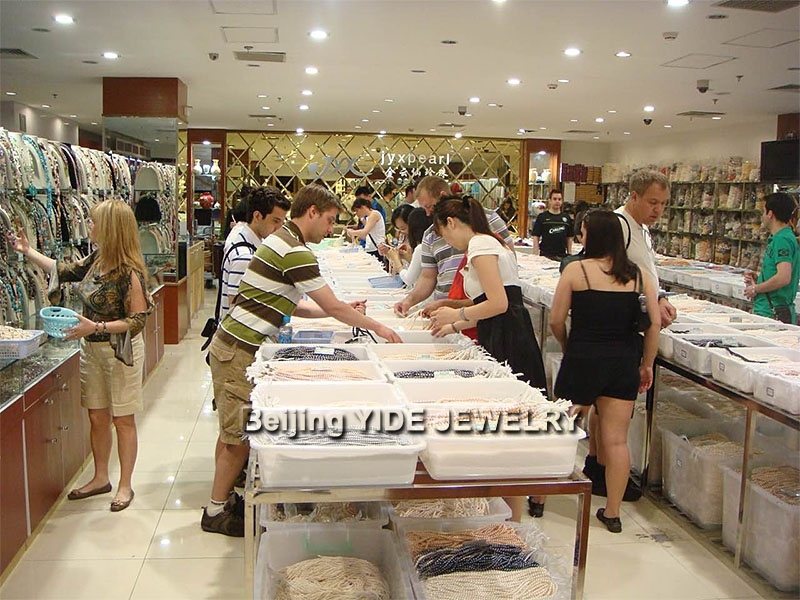 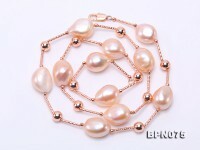 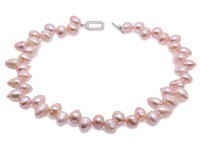 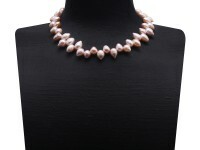 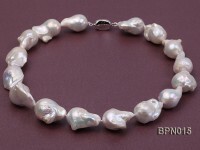 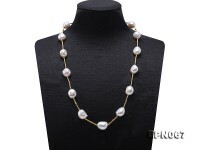 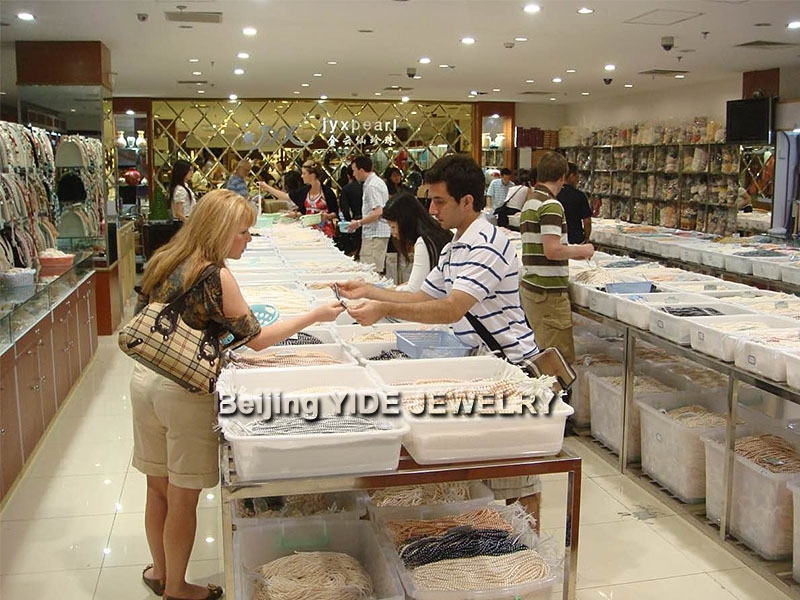 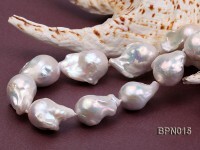 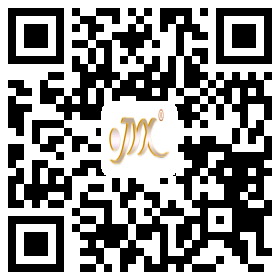 The wearing length of each baroque pearl necklace may vary due to different shapes and sizes. 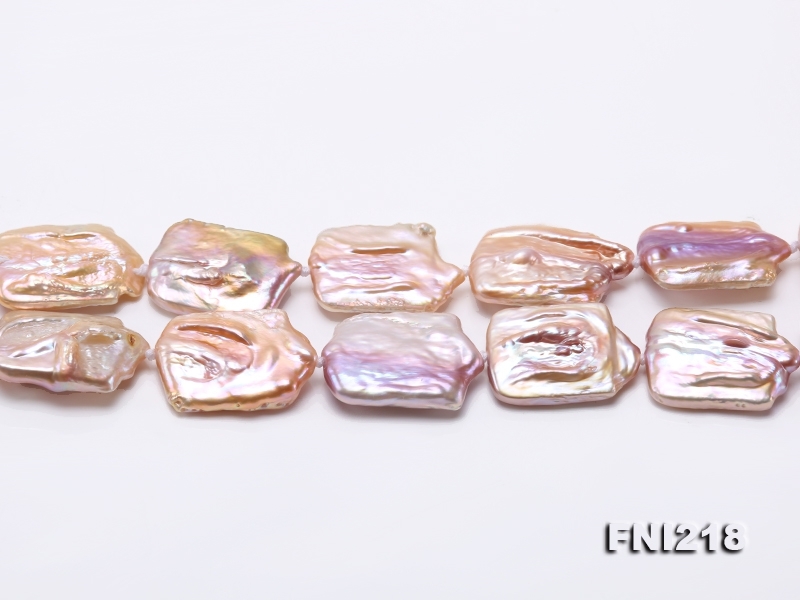 Every piece of baroque pearls is uniformly double knotted with silk threads to ensure beauty and durability, revealing fine craftsmanship and texture.